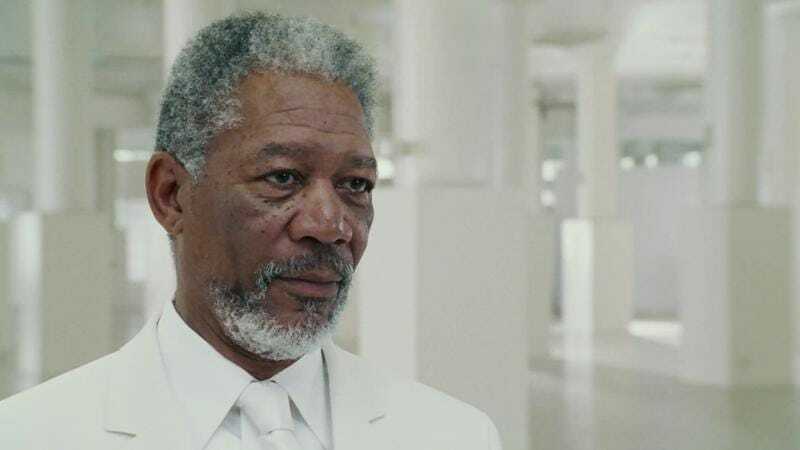 Having finally accepted the awesome burden of omnipotent ruler of Heaven and Earth, 78-year-old actor Morgan Freeman has signed on to host a new guided tour of the Almighty. Called The Story Of God, the series will explore the many diverse manifestations of God humans have worshipped throughout the millennia by visiting famous religious sites such as Stonehenge, Jerusalem’s Wailing Wall, India’s Bodhi Tree, and even a Texas megachurch. There, Freeman will smile and nod politely while the poor, deluded souls that worship at that particular location explain their brand of religious belief. After hearing them out, Freeman will reveal his true nature by popping in a DVD of Bruce Almighty, causing the parishioners fall to their knees and declare him the one true God. We assume, anyway. The Story Of God is set to premiere on the National Geographic channel next year.